Bring back the tradition of placing candles on your Christmas tree with battery operated, remote controlled LED Christmas tree candles. 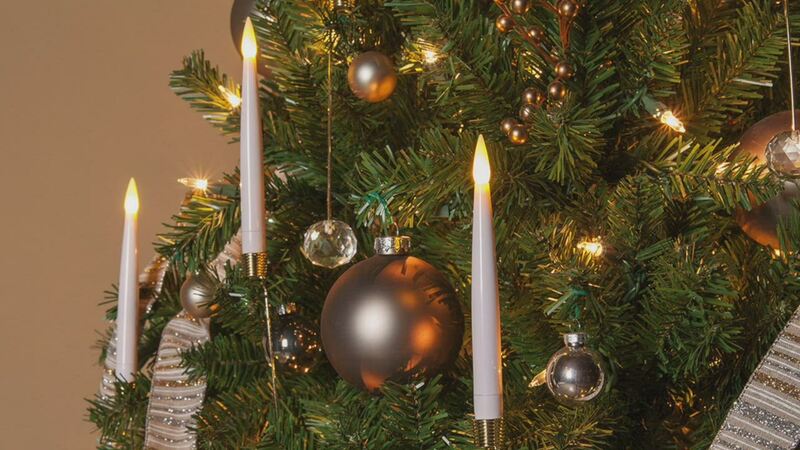 These elegant flameless taper candles flicker like real ones. Their faceted glass weights refract light like a crystal ornament, adding to the beauty of your Christmas tree. LED bulbs and replaceable batteries ensure you'll be enjoying these Christmas tree candles for many years.